Acer has just announced a new fitness tracker called the Liquid Leap+ at the on-going MWC 2015. 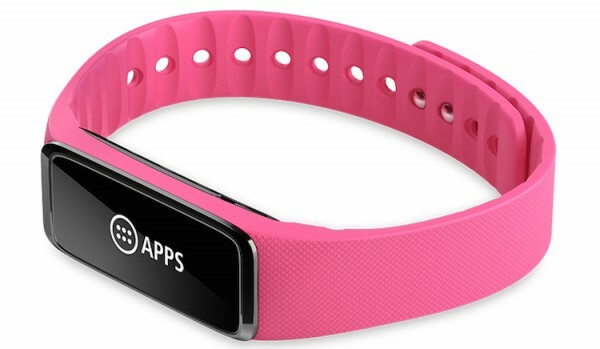 The fitness band, as its name suggest, is an improved version of the Liquid Leap, Acer’s first ever wearable product, which was unveiled about 9 months ago at Computex. It features a 1” (128×32) OLED touch display and uses low-energy Bluetooth 4.0 connectivity, giving it a pretty decent battery life of 5 to 7 days of usage. As before, the display is wrapped around by a rubberised band which Acer claims, has a curved surface that “is designed to lower body temperature by minimising skin contact”. It as a IPX7-certified water resistance, allowing it to track your activity, sleep, and even activity in the swimming pool. There’s no physical buttons at all, so all interactions with the band will be done on its touch display such as music controls, and the ability to read notifications. The Acer Liquid Leap+ is compatible with iOS, Android and Windows Phone including the Liquid M220 that has just been announced. Available in a range of colors including charcoal black, fuchsia pink and lime green, the Liquid Leap+ is scheduled to go on sale next month in Europe, Middle East and Africa at €79 – that’s about RM320.